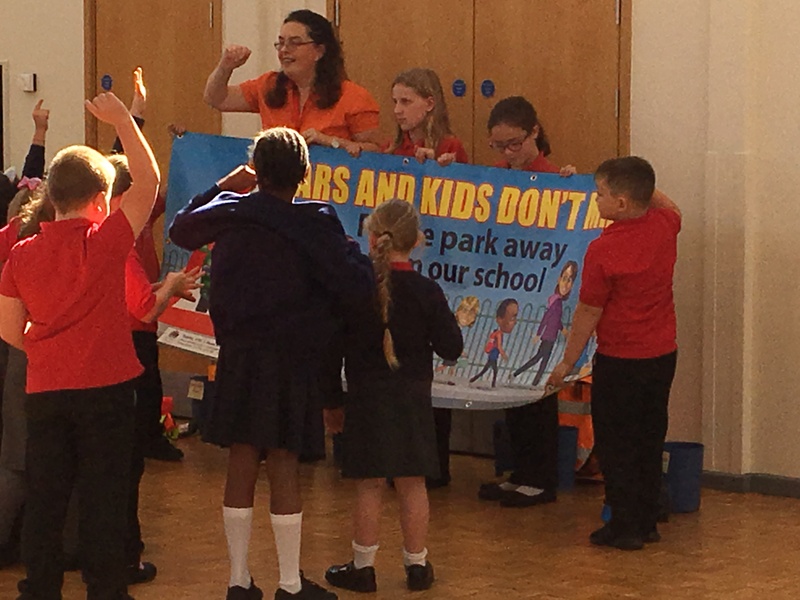 ST:EPS or ‘Safer Travel: Enabling Primary Schools’ is about helping schools to promote safe, active travel for children not just on the journey to and from school but for life. We’ve created the ST:EPS project to help schools easily access the resources they need to achieve this – guidance, information, products, award schemes, funding, curriculum materials as well as support from the business community. Schools are busy places and teachers don’t have a lot of time to hunt for extra resources… so we want to make it easy. There are some fantastic resources already out there and available free of charge to schools. Councils or charities such as Living Streets, Sustrans and Brake provide a lot of information and events you can join, which many schools already benefit from. We want to help more schools make use of these. Here at Brightkidz we also have a wealth of our own information resources to help you too. Schools have to deal with so many issues nowadays: attendance, academic achievements, safety, well-being, punctuality, promoting independence and healthy lifestyles, attracting new pupils and good staff, along with juggling tight budgets as well as their main task… teaching. The ST:EPS project is designed to help meet these other obligations too depending on the needs of individual schools whilst promoting active travel. We are designing more and more of the activities around ST:EPS to link in with classwork too. Our qualified, experienced outdoor education specialist is making sure as many of these as possible will involve getting pupils outdoors to learn. ST:EPS complements other schemes that schools are already undertaking such as Junior Road Safety Officers, Junior Travel Ambassadors and can be a part of a school council’s activities or other pupil ambassador scheme. In fact we encourage schools to integrate ST:EPS into their existing schemes. A crucial part of ST:EPS is to help schools sign up to and take part in a school travel recognition award scheme, for example Modeshift STARS in England outside London or TfL STARS in London. This means all the activities schools do to promote safe, active travel are easily planned, documented and measured – providing great evidence of impact (which any funders or supporters will love) and recognition for the pupils and school. Whilst many ST:EPS activities are low or no cost, schools may choose to do some which require funding. We help attract local businesses as sponsors (financially or in kind) so they can help ease the strain on school budgets and enjoy the benefits of connecting to their community. Schools taking part in ST:EPS are encouraged to shout about their successes and share their ideas and good practice. Whilst complying with the schools’ photo/media policies and GDPR, we recognise the importance of letting others know what they are doing as it encourages further support. Local authority school travel teams, road safety officers and police authorities have been doing amazing work for years supporting active travel and road safety initiatives. The level of support they offer varies dramatically depending on where you live and local priorities. All ST:EPS projects are to be run in collaboration with a local authority. There is not necessarily a cost involved for the local authority but the professional backing and support in kind is essential for the success of ST:EPS. ST:EPS is run by Brightkidz social enterprise with the support of different partners from the community. Whilst many of the activities are low cost or no cost, there is a basic charge for a school to join and there are a number of activity options which involve a charge. We kindly ask schools, local authorities, business sponsors and other partners to come to Brightkidz first for a quote if additional resources are needed. As a social enterprise all profits are ploughed back and this helps us keep going and develop future projects and resources… and so keeps the funding in the active travel sector. Each ST:EPS project focuses on local needs of the individual schools but links to national initiatives and will also draw on shared ideas from abroad thanks to our relationships with overseas partners such as Italian piedibus (walking bus) organisers. ST:EPS is currently being trialled over this academic year with schools in Kettering, Northants. Subject to local support we aim to extend the project to Corby, Northants soon. Why there? It’s just where Brightkidz happens to be based. However Brightkidz has a long history of working with local authorities across the UK and would be open to working in collaboration with local authority officers to develop further ST:EPS projects. Please contact us to discuss.